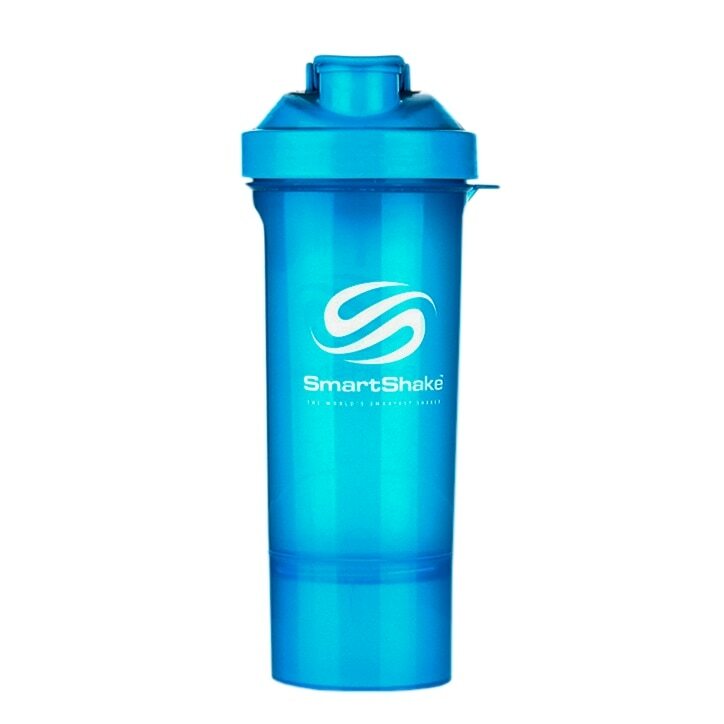 The SmartShake Slim Neon Blue Shaker Cup is a high-quality 500ml shaker cup with three compartments to store pills and powders. It is made from BPA free plastic and is 100% leak-proof. You can use it every day, store it in the freezer, heat its contents in the microwave and wash up in the dishwasher afterwards. It’s designed for real life. SmartShake Slim Neon Blue Shaker Cup’s unique design is compact, yet light. And thanks to its snap-on strainer, there are no loose parts. SmartShake Slim Neon Blue is rated 5.0 out of 5 by 1.